"After my death, there will be many people—even my relatives from our own house—they will reject you. They will say [unkind] words to you; they will oppose you, but never forget the love of Jesus," Jyan's words pierced through Malati's heart. Malati and her husband had endured much together, and now he commissioned her to stand—without him. Even as he lay weak from heart disease, the four years he spent committed to the Lord gave him strength to endure through the end. After Jyan died, Malati witnessed his dying words come true. Villagers and relatives asked why she was continuing to follow Jesus and live as she was when she should return to her old traditions. 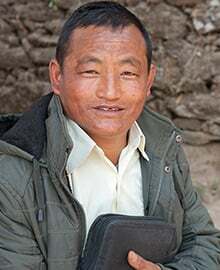 Malati's pastor, Gospel for Asia-supported pastor Jaton, encouraged her, much like he had been doing the past four years. Now his encouragement was even more appreciated than before as she struggled with bearing the title "widow," taking care of her two young children and desiring to pursue the Lord more. "I will stand beside you, and I will pray on behalf of you," Pastor Jaton said. Malati wanted to serve the Lord and commit her life to ministry. But could she? Should a woman with two young children who was now living the life of a widow dare go this route? The vision, the passion…they were all there, and for Pastor Jaton and the leaders of the church, that was enough. For one year Malati studied at a Bible college. With a burden searing her heart for others to know her Comforter, Malati spent a second year on the field doing a practical internship with a young woman who also attended Bible college. Pastor Jaton, during this time, took care of Malati's two sons. After graduation, Malati wanted to go back home and minister to her relatives, but the Lord had need for her elsewhere. There was a pastor who needed help reviving one of his churches. Willing to serve where the need was the greatest, Malati and her two sons moved. Today, Malati serves in three surrounding churches. She leads the children's Sunday school and Women's Fellowship. She also helps lead prayer meetings in believers' homes and often travels with a few other women to nearby villages to share the love of Christ. Malati's missionary journey, however, hasn't been without pain. 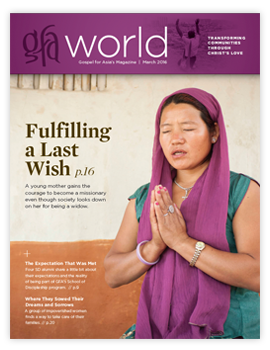 As a widow, she faces difficulties among those with whom she shares the love of Jesus. To bring down the barriers that hinder the message of hope she shares, Malati doesn't always explain she is a widow. "I know it is very difficult being a widow and being a woman," she says. "Whenever I find that people are not genuine, . . . and they are going to treat me in a different way, . . . I did not disclose myself as a widow, knowing that they would reject me." It also causes her much heartache when she is scolded for not remarrying. People will tell her, "You are still young and you have children, . . . so now why do you continue your journey like this? It is better that you get married and have a husband." But as a faithful daughter of the King, Malati doesn't let other people's remarks or criticism keep her from serving Him. The love of Jesus propels her to continue. It is her one constant source of strength, and she keeps reaching out to the sick and stretching out her hand to the needy. Whenever she faces discouragement, she kneels on the floor, tears streaming down her cheeks, asking God to help her bear the stinging remarks of others who don't understand the Lord's calling on her life. Being a widow, a mother and a missionary doesn't come without pain. But she clings to her husband's last commission and the promises in God's Word, and she is able to continue. When she rises to her feet, she rises renewed and with a passion to reach more villages and proclaim with fervency the comforting love of the Savior. The road ahead may be long and hard, but Malati has decided to follow Jesus—there is no turning back. 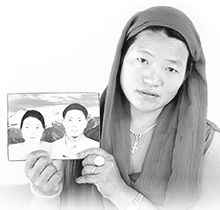 Malati and her husband endured much opposition for their faith together. After his death, she committed to follow Christ no matter the cost. Here she shares a photo of her and her husband, Jyan. 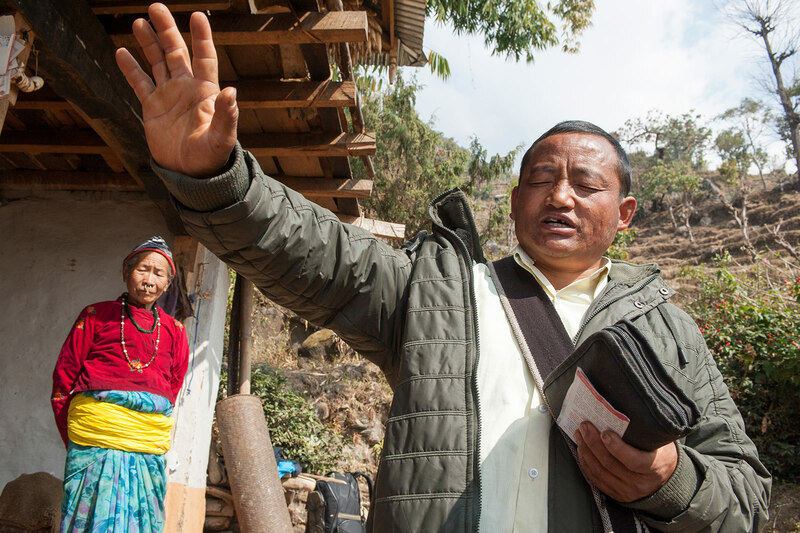 Pastor Jaton helped Malati and her husband, Jyan, know the Lord. 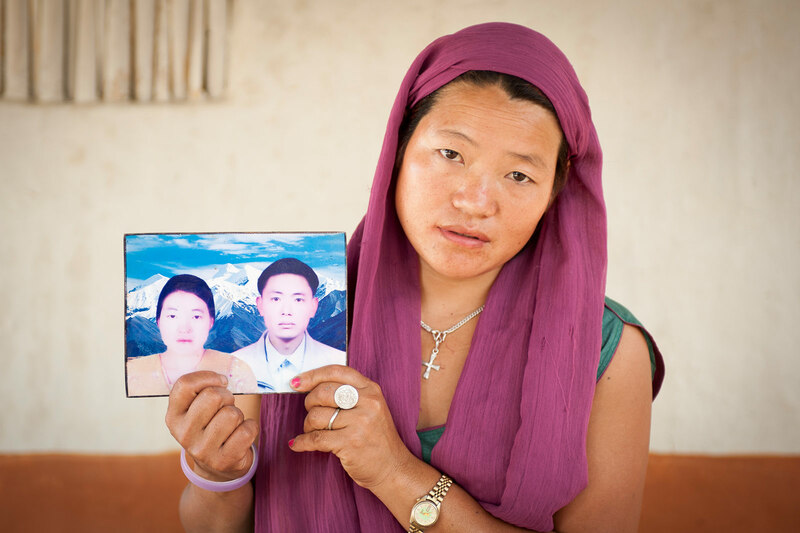 After Jyan's death, Jaton continued to encourage and pray for Malati and her children. Malati answered the call of God on her life and attended a Bible college. She desires that others will know about the love of Christ—something she has experienced powerfully in her own life. When Malati began serving in the village where she now lives, she noticed the church had no Sunday school ministry, so she started one. Malati teaches 15 children every Sunday morning before the church service begins. These are some of the children in her class. 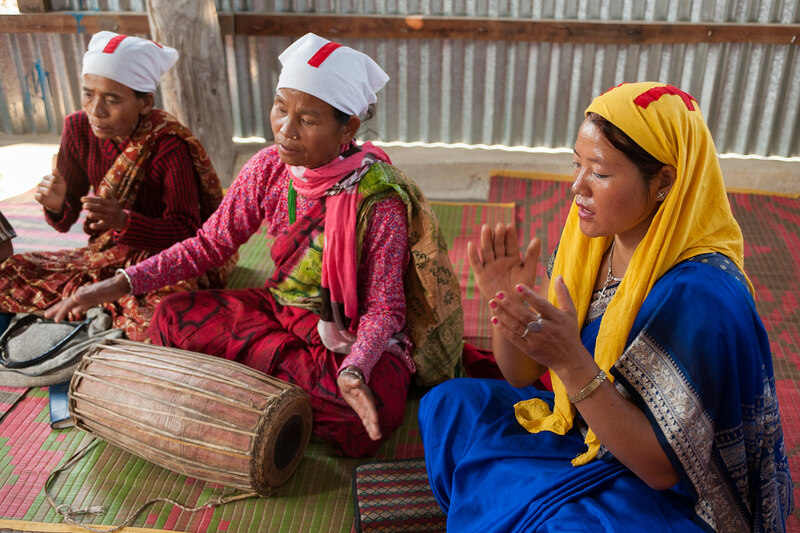 When Malati noticed there was no fellowship among the women believers in her community, she started a Women's Fellowship in her church so they could gather together for worship, prayer, teaching of God's Word and encouragement.  Malati and the other women who are part of the Women's Fellowship share the love of Christ in their neighborhood and in nearby villages often. They pray for those who are sick and encourage them with God's hope. Although Malati takes on many responsibilities as a missionary, she still makes time to love and nurture her two sons. She desires that they, too, will one day serve the Lord. "Please pray for my children, that I may help them to grow up in their spiritual walk with the Lord," Malati says. Malati serves the Lord with a passion to tell others about her loving Savior. Though she is a widow, a mother and a missionary, the Lord gives her grace to follow Him—there is no turning back.